In January of 2016, Giggles opened its doors. Since then it’s become the go-to place for parents to take their kids when they need to run around, burn off energy, or just generally have tons of fun. Giggles has become popular for both open play and amazing birthday parties. Owner Kinga Keaveney also had additional events in the space last year, including a Princess Party with Anna and Elsa from “Frozen,” and visits from Santa and the Easter Bunny. On January 25, Giggles will be celebrating its first birthday with half-off admissions, as well as face painting, balloon artists, and treats. The winter is Giggles’ busiest time of year as parents search for indoor play opportunities. Kinga is always listening to suggestions and constructive criticism from her customers, and looking for ways that she can best serve her their needs. To that end, Giggles is now open on Mondays, and is currently offering extended hours on Friday nights. The business has also started selling Melissa & Doug toys, which are a great option for people attending a birthday party there. Giggles will wrap the gift and parents don’t have to stress beforehand about picking something up. One of Kinga’s favorite parts of being a business owner is getting to know the families who come through her door. She sees the children grow, and many of the families have expanded from when they first started coming. Giggles has come about its success due in large part to positive word of mouth. Parents are quick to tell their friends about the play space, and Kinga has also received great feedback on the birthday parties. 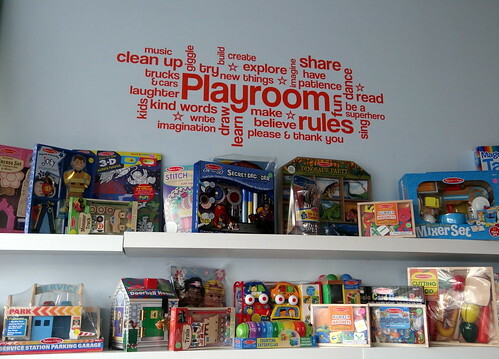 Kinga is also always adding new toys and activities in the space so children never get bored. Customers receive a card to stamp every time they come, and with the 10th stamp they receive 1 Free Admission. 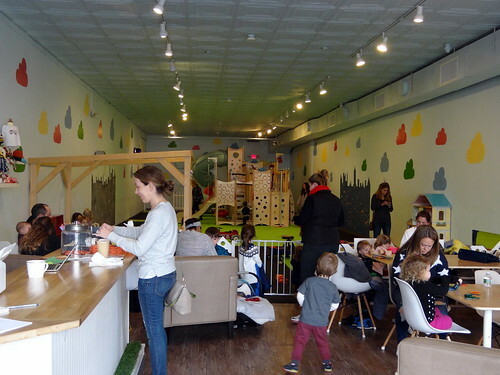 Before Giggles was even open a year, Kinga found that one of her customers had brought her children there 29 times, proving that kids just can’t get enough Giggles.